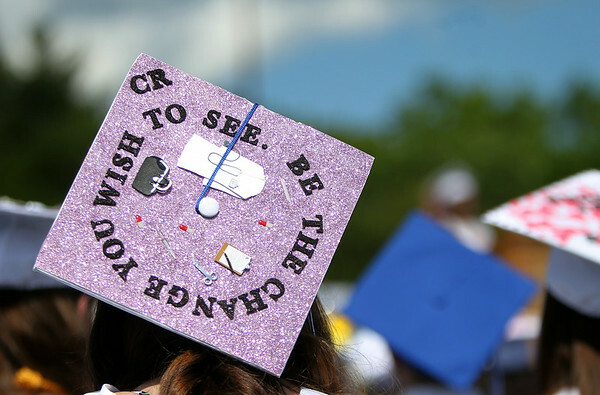 In a sea of colorful and well decorated mortar boards, one Danvers High School graduate pays tribute to former Danvers High School teacher Colleen Ritzer. DAVID LE/Staff photo. 6/7/14.